The New Mexico Human Services Department’s Behavioral Health Services Division, their Office of Substance Abuse Prevention, and the New Mexico Higher Education Prevention Consortium chose the Institute of American Indian Arts for a Partners for Success grant in December 2017. IAIA joins New Mexico State University, New Mexico Tech, San Juan College and the University of New Mexico to address underage drinking and prescription drug abuse according to the Behavioral Health Collaborative CEO Report for April 2018. The grant is being implemented under Carmen Henan, Eastern Shoshone, who is dean of students and the director of student life at IAIA. The program will be staffed by Toney Johnson, Jr, Diné, who is the prevention specialist with Student Life, along with prevention assistant, Jacqueline Gutierrez, Santa Clara Pueblo. 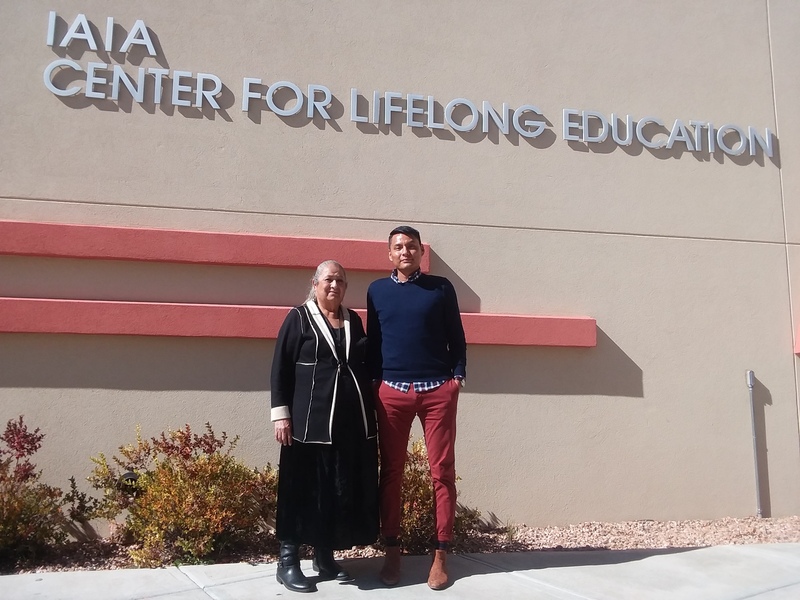 The NMHEPC reached out to IAIA in April 2018 to complete the Campus Climate Survey, where each participant was paid five dollars upon completion. Johnson says the qualitative narrative of the IAIA community shows that tribal college students experience a diverse range of issues and are very much under served. During the 20018 spring and summer months, IAIA received “Strategic Prevention Framework trainings and technical assistance support to develop a strategic plan.” The trainings focus on “coalition development, community needs assessment, community capacity and readiness, strategic planning and evidence-based practices and an evaluation,” as detailed in the Behavioral Health Collaborative CEO Report for April 2018. Dean Carmen says there is a concern about the amount of underage drinking incidents happening on campus. She stated the number of incidents rise every semester, which affects student success. She would like to see less drinking and drug use on campus and educate the community about responsible drinking, ending drinking and driving, and understanding the dangers and responsibility of using prescription pills. Johnson, previously worked at the University of New Mexico Hospital where he specialized in epidemiology and infectious disease prevention. He has worked with students in education, outreach and best practices. Johnson said that IAIA was chosen for its specific population and the prevention program is new and very much needed. Working with the culturally diverse population represented on the IAIA campus, gives researchers an opportunity to examine personal experiences and narratives surrounding substance abuse issues. A key aspect is to uphold the cultural component and respectfulness towards IAIA’s diverse community. Johnson says this semester is about creating awareness and preparing the IAIA community to talk about these issues. “Readiness is very important to move forward,” said Johnson. In the future, quantitative data will be assessed through an upcoming student lifestyle survey. Also, each month talks on various issues will be held. 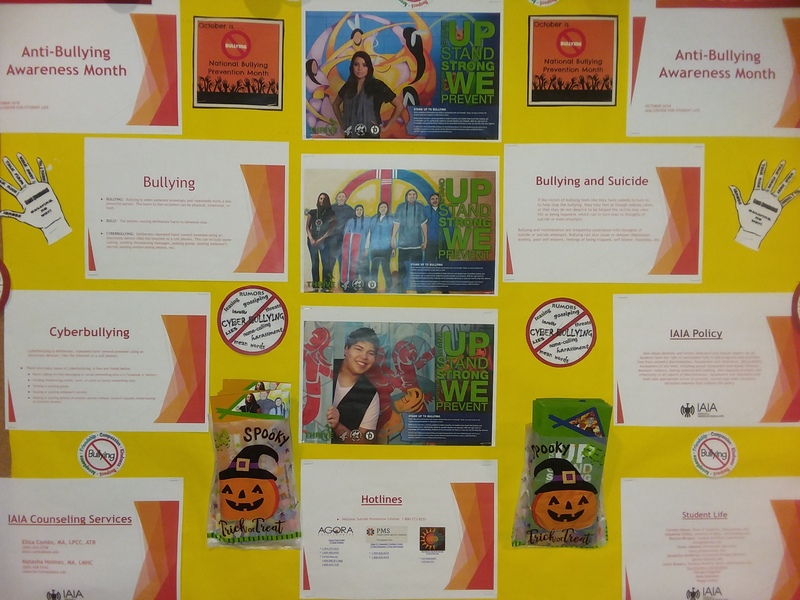 In October, Domestic Violence Awareness and National Bullying Prevention were the key issues addressed. For the month of November, Native American heritage, and wellness and health will be the topics for discussion while continuing the student surveys. The goal is to have the IAIA community participate and collaborate on the project and to create healthy changes. Dean Carmen says the success of the program depends on everyone’s involvement.